We have been getting requests from lots of users to further automate the workflow from client proposal to final client payment. While we still have a long way to go, we are excited to announce that you can now submit an estimate for approval. If your client approves an estimate, you can opt to have that estimate created as a new project with an approved budget. Once a budget is created, you can track your billable activities against that approved budget. 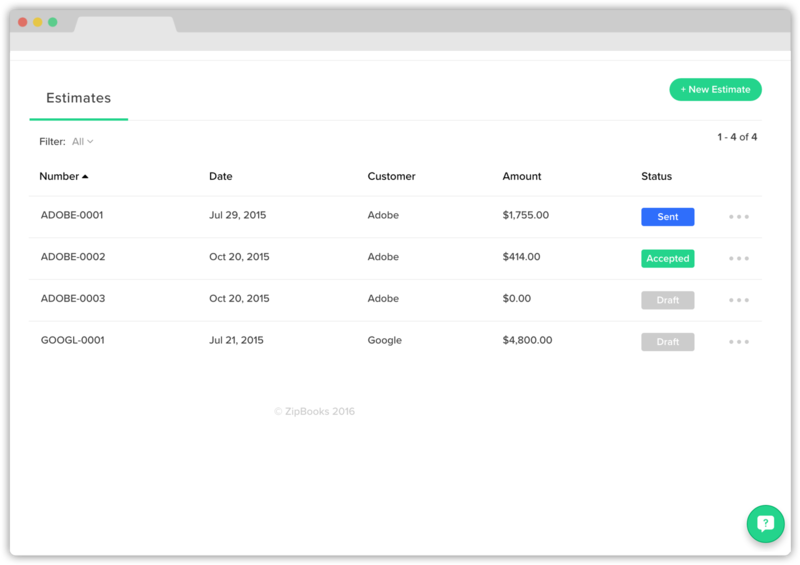 Invoicing is as easy as ever with the option to pull in all activity associated with a project. After logging in to your ZipBooks account, click Estimate in the sidebar menu. Click the Create estimate button at the top right. After filling out the estimate, make sure to click the “Auto-create project when estimate is accepted” check box. When you use ZipBooks to email the estimate, the client will see an accept button that they can click. 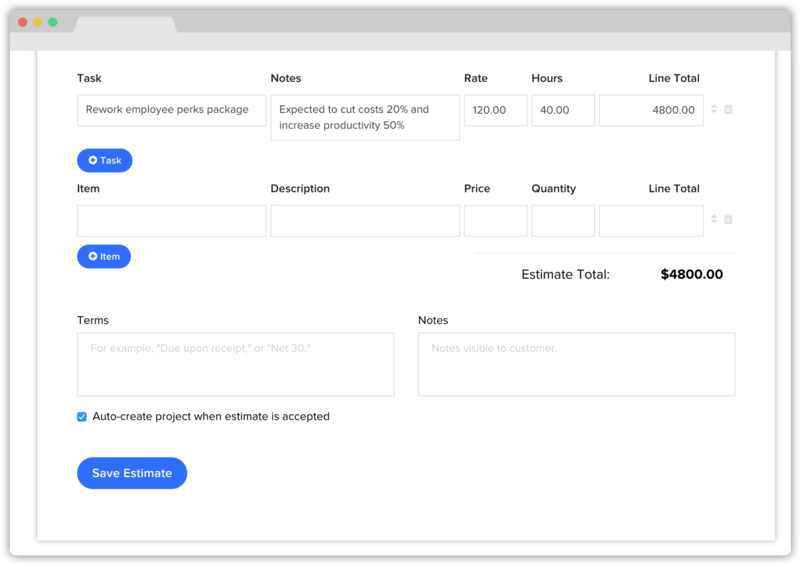 The estimate status will be updated to “approved” and ZipBooks automatically creates a new project for that client with an approved budget that equals that amount of the approved estimate. Just another example of how our users are helping us make a great product even better. We hope this feature leads to more closed deals and better communication about expected compensation.